Come experience small town charm with big city advantages. 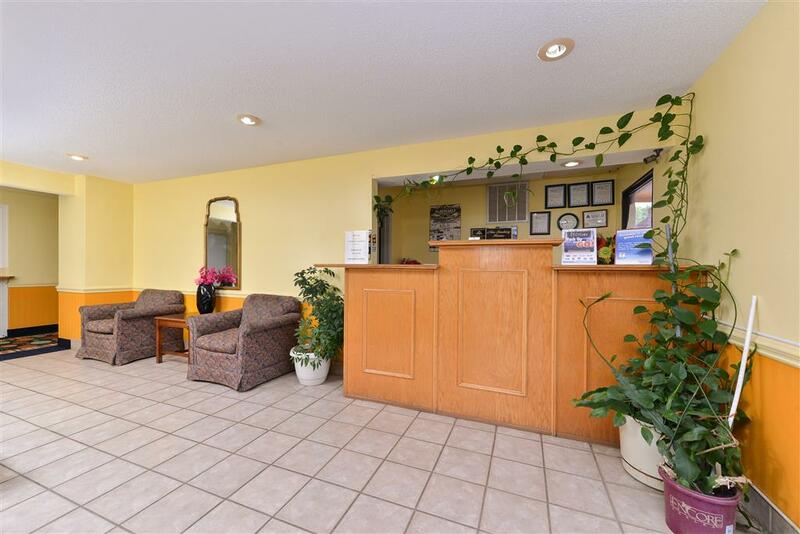 The Americas Best Value Inn of Albemarle- North Carolina features 33 interior corridor- nicely furnished guest rooms with many amenities. Some guest rooms are equipped with kitchen and sofa bed. All guest rooms have a microwave- mini-fridge- coffeemaker- cable TV with HBO- iron- ironing board- complimentary wireless internet access and free local calls. Our courteous and experienced staff looks forward to making your stay with us a wonderful experience. Pets are allowed charges and restrictions apply. Albemarle is located in the beautiful Uwharrie Lakes region of Piedmont- North Carolina. It is conveniently located near two of the state*s largest urban areas- Charlotte and the Piedmont Triad area. Morrow Mountain State Park is just east of the City- and attracts visitors from across the state. Tuckertown Lake- Badin Lake- and Lake Tillery are all located within a few minutes drive of Albemarle- and offer a multitude of opportunities for boating- fishing- and swimming. Camping- hiking- and other outdoor activities are available at Morrow Mountain State Park and the nearby Uwharrie National Forest. The Citys Parks and Recreation Department operates several beautiful parks and a large recreation program.We are just moments away from numerous restaurant - shopping centers and cinemas. Some must see area attractions include the Metrolina Wildlife Park- Northside Crafters Mall- Oakboro Regional Historical Museum- Eastgate Cinemas- Pfeiffer University- South Albermarle Park and the Cabarrus Arena and Events Center. Blue Bay Seafood: 0.6 mi. Jays Seafood Restaurant: 4.5 mi. Applebees Neighborhood Grill: 0.5 mi. Mazatlan Mexican Restaurant: 0.8 mi. The Americas Best Value Inn is located on Henson St. Between E. Lincolnton St. and Woodhurst Ln. Nearby Hwy. 24-27. .